Photo grabbed from "A Short History of a Few Bad Things." CEBUANO actor and SunStar Cebu's editor and columnist Publio Briones III was nominated in one of the country's prestigious award-giving bodies, the Filipino Academy of Movie Arts and Sciences (Famas), for best supporting actor in a role. This is Briones's second nomination with Famas, which is now on its 67th year in giving honor and recognition to the actors, actresses and movie workers in the industry. Briones's first nomination was for the movie "Confessional" in 2008. His nomination is based on his role in the movie "A Short History of a Few Bad Things," a mockumentary film directed by independent film director Keith Deligero, about a troubled detective who struggles to solve a series of grisly killings, while a deep conspiracy works to keep the truth out of his reach. The film is inspired by the short film "Babylon," also directed by Deligero. Briones plays the role of the superior officer of the police detective assigned to the crime. In a movie review penned by Oggs Cruz, he describes Briones's acting as "masterfully" done. 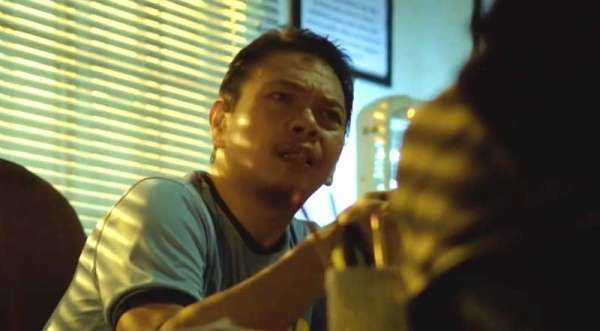 "It all feels like a comedy of errors, with the film cycling from its protagonist somewhat making headway in his investigation only to be reprimanded by his English-speaking superior, played masterfully by Publio Briones III," Cruz said.